Lily is Cristobel’s daughter by Ch Maidenbower Kittiwake. 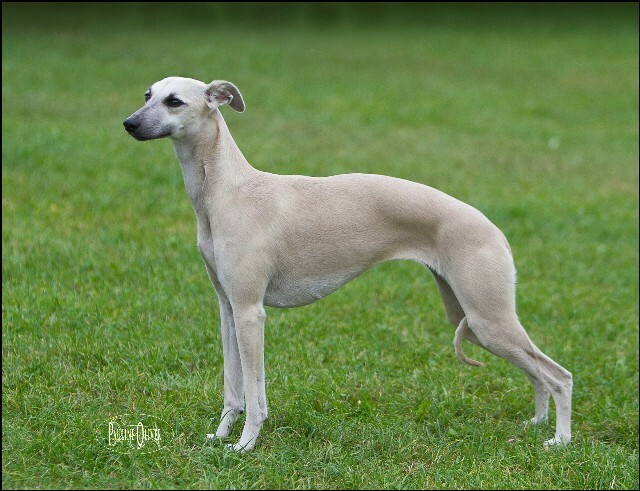 Lily gained her Junior Warrant a few days out of puppy in August 2011 and her Show Certificate of Merit at the age of two in July 2013. She was BVA heart tested clear by M Holgate MRCVS in July 2013. 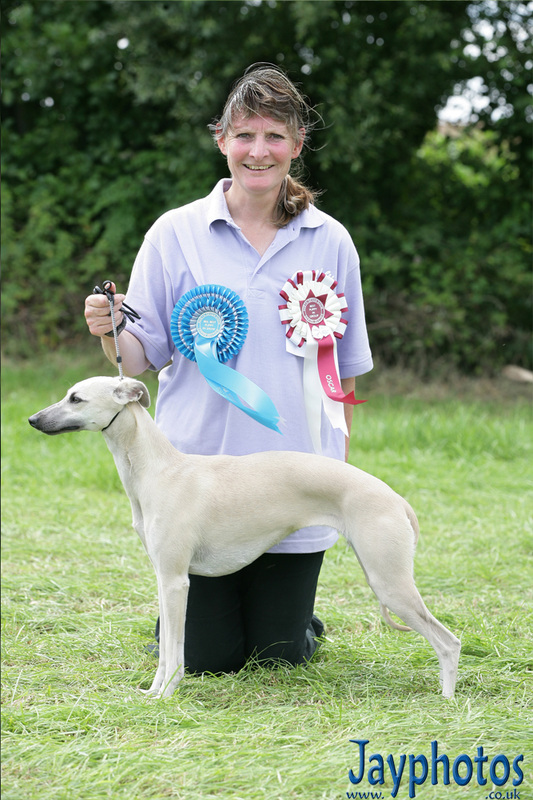 East Anglian Whippet Club Championship Show in July 2013.